When Ed Lee sat down behind the San Francisco mayor’s desk for the first time, he could page through three thick binders prepared for him explaining the inner workings of City Hall. It is a mass of statistics, budgets, staffing, best practices, timetables, and challenges for 2011 – department by department. He could, if he wished, spend almost his entire year as interim mayor on automatic pilot. The binders include a script for a scheduled trip to China, timetables for introducing new mayoral proposals to the Board of Supervisors, dates for tax incentives intended for adoption this year, ballot measures for November, even when groundbreakings are calendared. The decisions have already been plotted out in advance, prepped, and teed up to be put into action. There will be plenty of time left for dinners with former mayor Willie Brown and his client du jour and for those late-night calls from Rose Pak. Mayor Lee could further save himself the trouble of working his way through the full three thick binders. He could just pull out the 22-page section on the Mayor’s Office of Economic and Workforce Development. 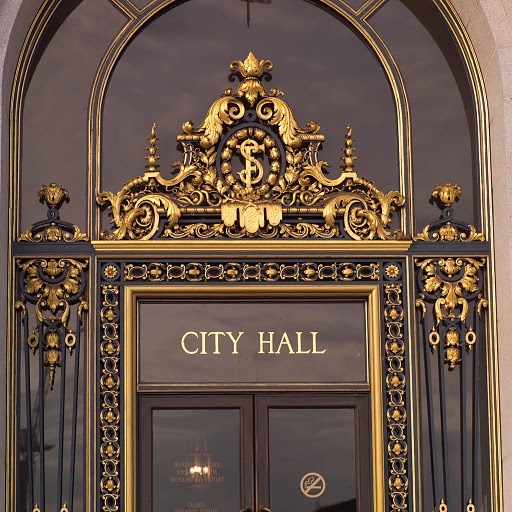 It is the real City Hall, the man (or, in this case, the woman) behind the curtain while the great Oz of press conferences, commission hearings, high-level meetings with dignitaries and all the rest clang their bells, puff out smoke and dazzle the eye with mirrors. With a current staff of 58 and a budget of $18.3 million, up from five years ago when it had a staff of 23 and a budget of $6.9 million, it sets the priorities, strategies and then monitors government’s role that typically were the province of city departments. The grunt work of handling employee grievances, community hearings and checking off “to-do” lists are left to the Departments. The Mayor’s Office of Economic and Workforce Development, or OEWD as it is known inside the mayor’s office, is an unprecedented concentration of power outside public view. It hires its own outside legal counsel, it issues its own Requests for Proposals, it negotiates leases and contracts and public-private agreements – and, only when necessary, sends them to a city commission for a rubber stamp hearing and vote. In some cases, such as Treasure Island, it even skips that step. If Willie Brown’s legacy as mayor was the diminishment of mayoral power, as voters took away the mayor’s authority to unilaterally appoint commissioners to key city agencies, created new ethics requirements, and forced open more of city government to public view, then Gavin Newsom’s legacy is the creation of a government-within-government, an arm of the mayor’s office that assumes control over every key decision for the city now and the decisions that set the stage for the city’s future. Over the past five years, it emerged as a power first under Michael Cohen and currently under Jennifer Matz. The San Francisco Business Times announced on March 25 that it named Cohen, not Newsom, as “Dealmaker of the Year,” heralding him as the development chief who oversaw the city’s biggest projects. The briefing paper prepared for the incoming mayor takes 22 pages to outline its current status, projects underway and timetables for action (their paper can be read here). It outweighs the submissions of any city department, and is more than twice the size of the Redevelopment Agency’s submission. * California Pacific Medical Center (CPMC) – “OEWD is coordinating the approval process for CPMC’s proposed major new facilities at Cathedral Hill and St. Luke’s. In summer 2010, the Planning Department held a public hearing on CPMC’s Long Range Development Plan Draft EIR. Approvals at the Planning Commission and Board of Supervisors are targeted for May 2011. OEWD is coordinating the efforts of all City Departments to process this complicated set of projects. OEWD is also working with CPMC to draft a Development Agreement, which will be approved along with project approvals and will set out binding obligations of both CPMC and the City related to this project. * Central Market Partnership — established in January 2010 to build on work that had been initiated in the Tenderloin through the Neighborhood Marketplace and focus specifically on the Central Market blocks between 5th and 10th. The goal of the Partnership is to engage multiple City Agencies and multiple stakeholders – property owners, merchants, arts organizations, developers, and residents – in the challenge of revitalizing this stretch of Market Street and building on the cultural district that was there historically. In a year’s time, we have seen several new retail businesses open, including Blick Art Supply, and have gained great traction with arts organizations who are interested in making Central Market a long-term home – 75 theater groups surveyed expressed interest in a recent survey. We received a $250,000 grant from the National Endowment for the Arts to undertake short-term activation of public spaces through the arts and are using those funds to do public art, art in vacant storefronts, an art market at UN Plaza, and programming at the already-established arts venues in the area. We have re-started the Mid Market Project Area Committee, to establish a Redevelopment Plan, and have initiated the Better Market Street initiative to redesign the street. We have also launched an $11.5 million loan fund for the area using HUD Section 108 funds; a first loan was recently made to Pearl’s Deluxe Burgers, which will open on Sixth and Market in Spring 2011 with assistance from the Redevelopment Agency. * Treasure Island: OEWD staff are responsible for leading the project management of the predevelopment planning, real estate negotiations and entitlements phase of the Treasure Island Redevelopment Project, a complex multi-agency, multi-billion dollar project. This includes taking direct responsibility for the administration and coordination of all professional activities, including real estate, planning, engineering, construction, legal, financial and environmental associated with the project. Staff oversees all contractors and consultants, financial agreements and budget needs for related work. This includes supporting the day-to-day management of negotiations and communicating directly with federal, state, regional, and local agencies (i.e., U.S. Navy, FHWA, US Dept of Labor, US Coast Guard, Caltrans, California EPA, MTC/BATA, etc.) and City departments. In negotiating the terms of real estate transactions and Disposition and Development agreement with the private developer, TICD, staff has been able to maintain the vision of the project that will ultimately result in maximizing the delivery of public benefits through the implementation of the project. In order to accomplish this in a shifting policy and economic environment, staff has engaged expert outside counsel, maintains direct contact with many nonprofit agencies and public agencies, and manages the approval process with local advisory bodies, appointed commissions and elected boards by communicating directly with each body, and presenting the comprehensive vision of the project to ensure the many different interests of the City and region are represented. OEWD staff interfaces and negotiates directly with department heads and deputies, elected and appointed officials, on a day-to-day basis to ensure that policy issues are addressed in a timely manner as negotiations precede. Other projects it oversees for the City include the Hunters Point Shipyard (including a wish-list San Francisco 49ners stadium), Transbay Terminal Development, the America’s Cup, SFMOMA Expansion, Moscone Center Expansion, Fillmore Muni substation, Octavia Boulevard, the film industry, neighborhood business improvement districts, community development block grants and more. Its behind the scenes role includes meeting with lobbyists seeking to influence a bid on a city contract. Airis Holdings would like to be awarded the contract to build an air cargo facility at the San Francisco International Airport. On February 11, 2011, Airis’ lobbyist met with Matz, reporting that the purpose of the meeting was to “influence Bid To Build Air Cargo Terminal.” During the same period, Mayor Ed Lee and Willie Brown were pictured at dinner with one of the owners of Airis Holdings. Airis is hoping for a second bite of the apple, having lost its bid for a $248 million contract to build the air cargo terminal in 2003. The Board of Supervisors narrowly voted down the Airis contract award in December 2003 after it emerged that Airis had lost out in the competitive bidding process but was put forward after the Airport Commission overruled the staff recommendation. The deal failed the smell test, then-Board President Matt Gonzalez said, noting that overruling the competitive process would result in business having no confidence in San Francisco’s process. Then-supervisor Aaron Peskin took note that Airis had ties to then-mayor Willie Brown, and it was Brown’s appointees on the Airport Commission who vaulted Airis into the lead. Airis hopes to succeed in 2011 where it failed in 2003. Its lobbyist already has met with several Airport Commissioners, including Eleanor Johns, the staff director for the Willie L. Brown, Jr. Institute on Politics and Public Service. A contract that runs into the hundreds of millions of dollars makes for a very tempting apple, well worth an effort at a second bite. And the art of lobbying is knowing just where to have the best chance to grab that apple. The smart money, if not all the money, is at the Mayor’s Office of Economic and Workplace Development.